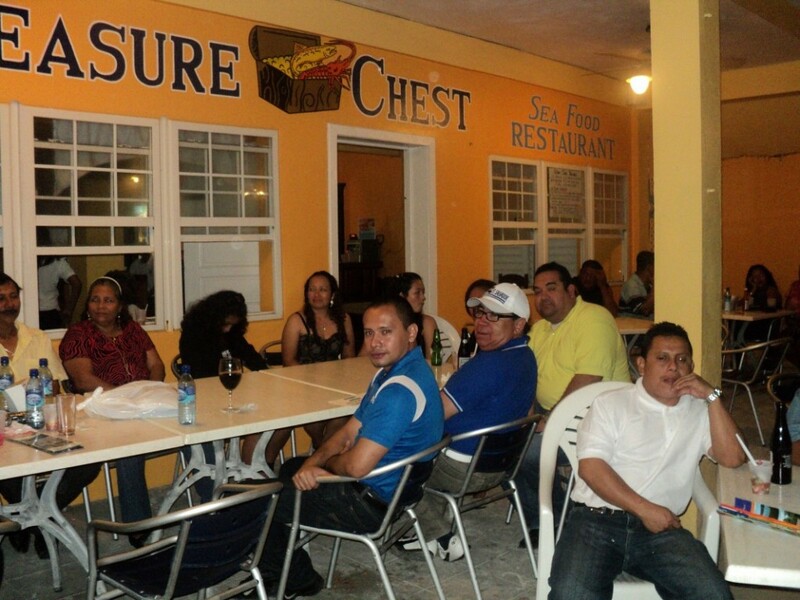 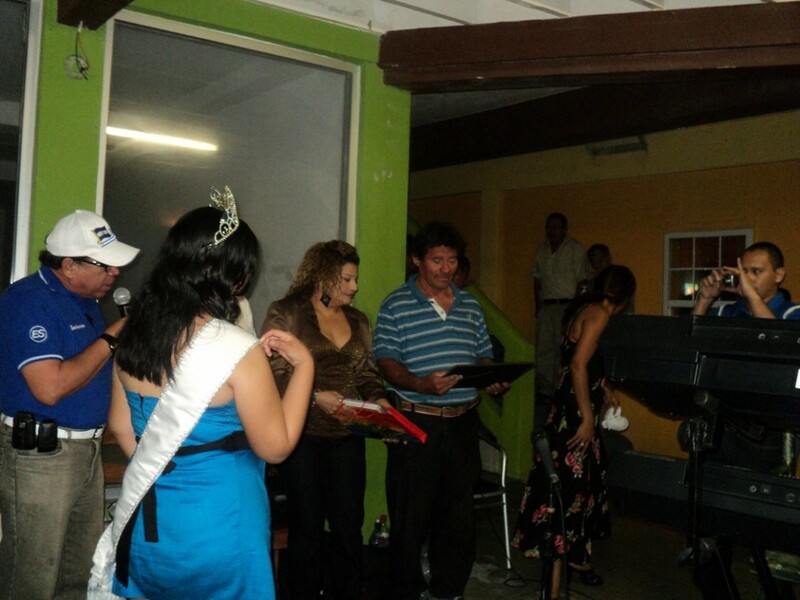 The Salvadoran Community held its 11th anniversary gathering at Lily’s Treasure Chest on Saturday February 11, 2012. 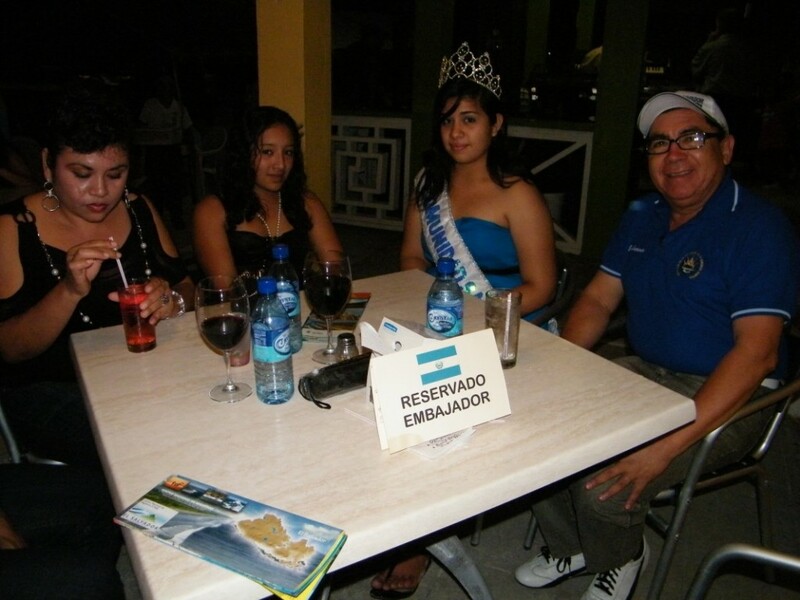 The gathering was well attended with special guests: Salvadoran Ambassador to Belize, Ambassador Milton Parada; Miss Comunidad Salvadoreña Jessica Aguilar, and a host of Salvadoran Nationals living on the island. 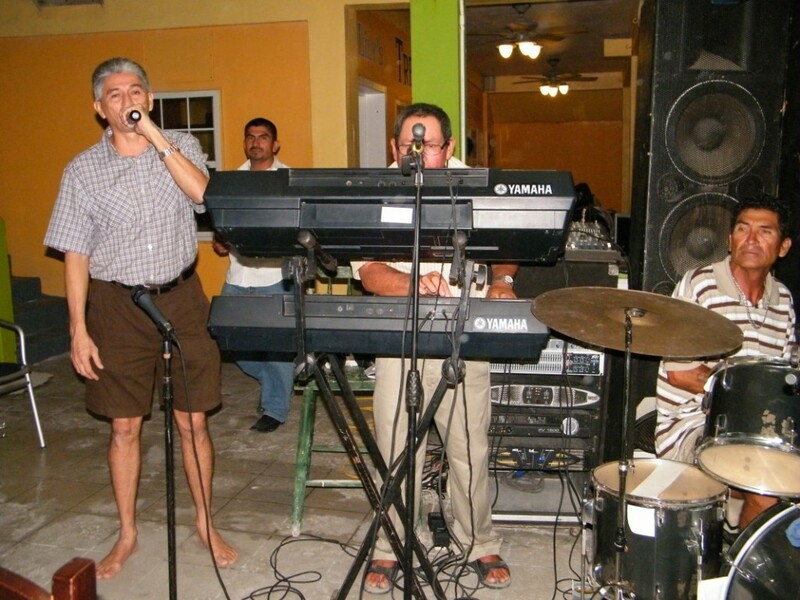 Music was provided by Rompe Raja and Belize’s "El Buki Mayor". 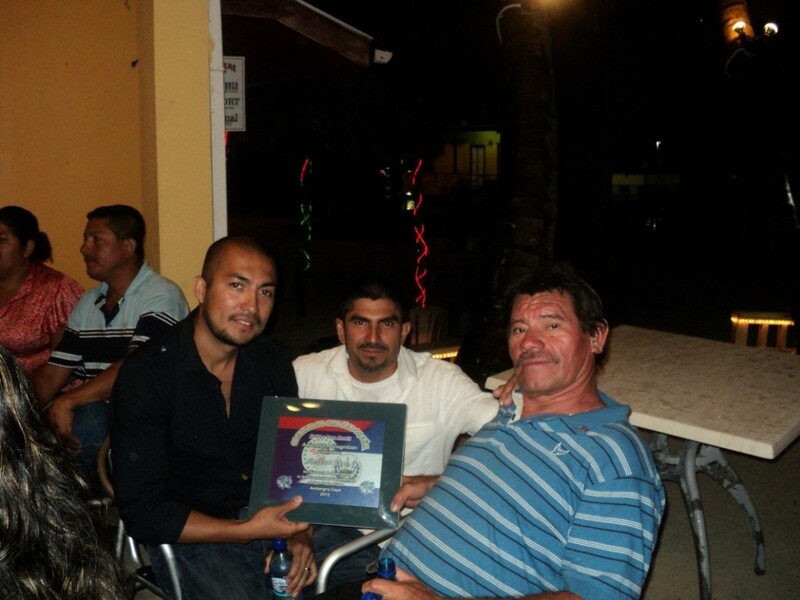 During the celebration, special awards of recognition were issued. 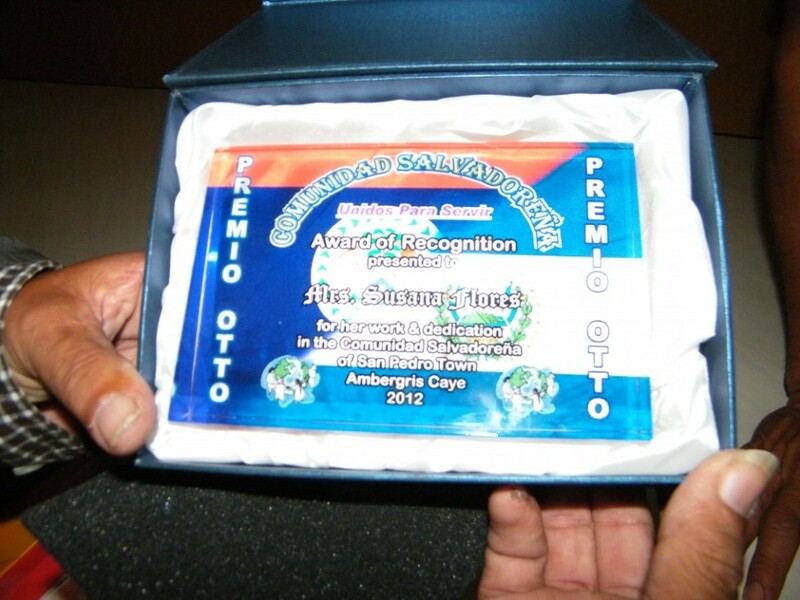 The Otto Awards have been given out for three years now, in recognition of Dr. Otto Rodriguez and his many years of service to San Pedro. 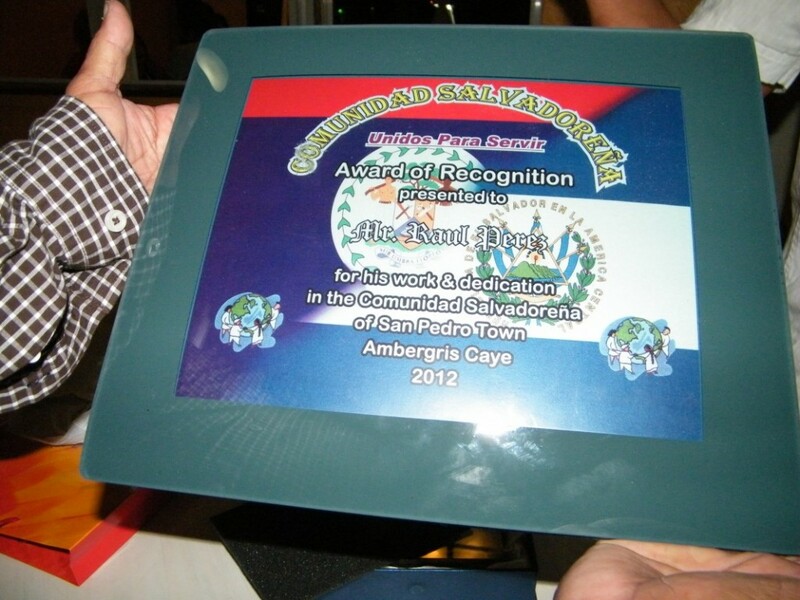 This award is given to the most active senior member of the Salvadoran Community. 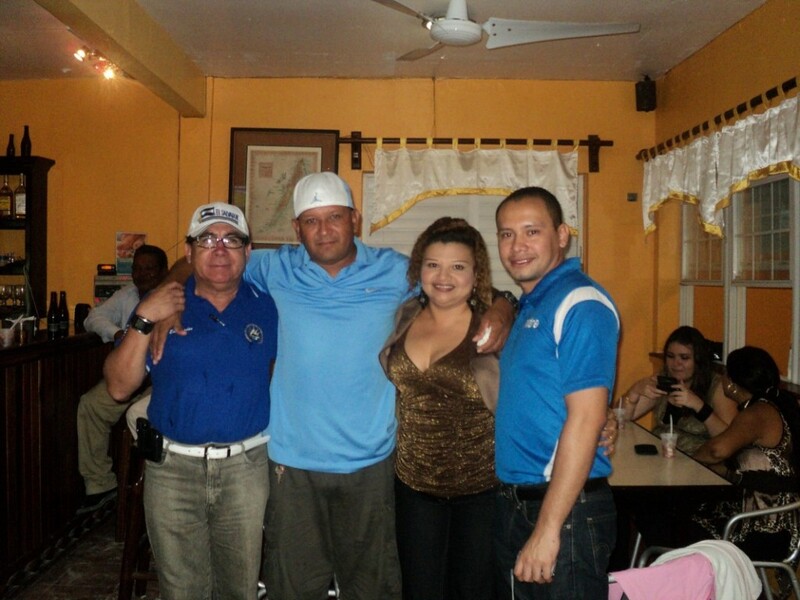 This year, that award was given to Mrs. Susana Flores, who has been contributing as the treasurer of the Salvadoran Community for over five years and has contributed as an active member of the Salvadoran Community for over eight years. 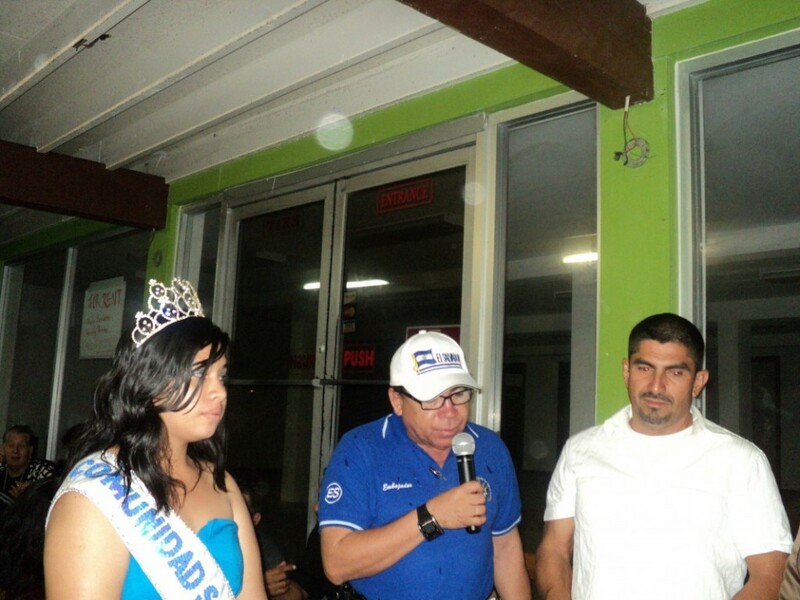 A second award was given to Mr. Raul Perez for his over seven years’ contribution as the president of the Salvadoran Society, prior to it becoming a Community organization. 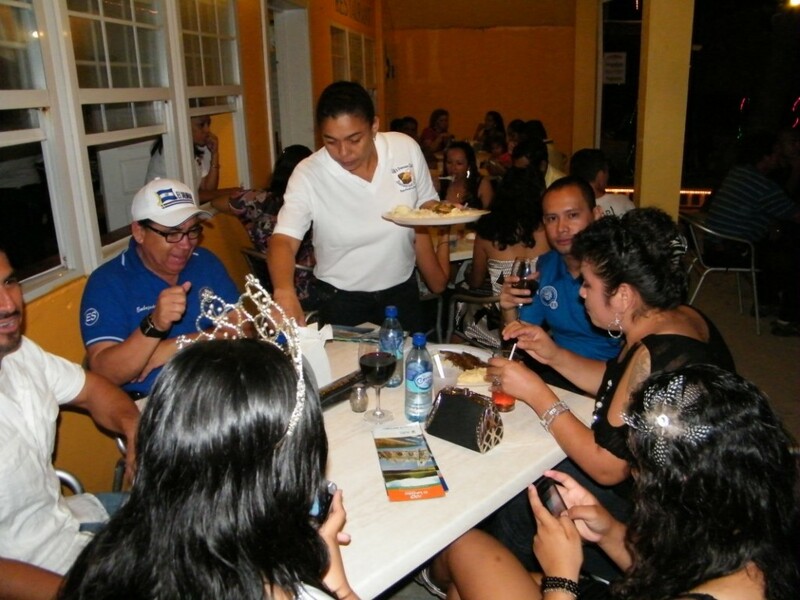 SP Salvadoran Community celebrates 8th Ann.